Whether you’re new to rental property management or simply looking for ways to improve your apartment’s services, you’ll need to make some important decisions about your laundry facilities. A well-managed laundry room in a multifamily complex can be one of the most effective ways to attract and retain residents – but should you handle the logistics yourself or hire a laundry management service? It’s a common misperception that owning laundry equipment and managing it yourself is more profitable than working with an outside service. More often than not, the financial benefits of purchasing machines are far less than one might expect when you take into account the cost of replacements, repairs and ongoing maintenance. By contracting with an outside company to provide laundry room equipment and professionally manage laundry operations, property owners can benefit from deep discounts that these vendors are able to negotiate with leading manufacturers in purchasing machines. Furthermore, some vendors offer a vend-price analysis to help optimize laundry room use and profitability. It will eliminate the hassle of service and maintenance. Keeping a laundry room in tip-top shape is a tough task – there’s coin collection (or electronic payment processing), the cost and hassle of machine maintenance, and repairs, cleaning, handling resident complaints, shopping for liability insurance, and more. But despite the work, having a clean and convenient laundry room attracts and retains renters and equates to more money for the multifamily property. Having a professionally managed laundry room offers the convenience of having your laundry services completely taken care of – from selecting the right machines to ongoing maintenance and repairs. It will keep you up-to-date with technology. There is a tremendous opportunity for property owners to stay on the forefront of new and emerging technology to ensure that the laundry experience is the best it can possibly be. With advancements such as mobile pay technologies, remote laundry monitoring that sends text alerts to residents when their laundry is done or when a machine becomes available, and an app that provides customers with a convenient way to report a problem with a machine, a laundry management service makes it easy to incorporate technology into your laundry offerings. Unfortunately, crime in laundry rooms is not uncommon and can leave you with the cost and hassle of repairing or replacing equipment. Smart laundry room management services provide advanced security features and follow strict protocols to deter break-ins, theft and vandalism. It will boost resident satisfaction and retention. 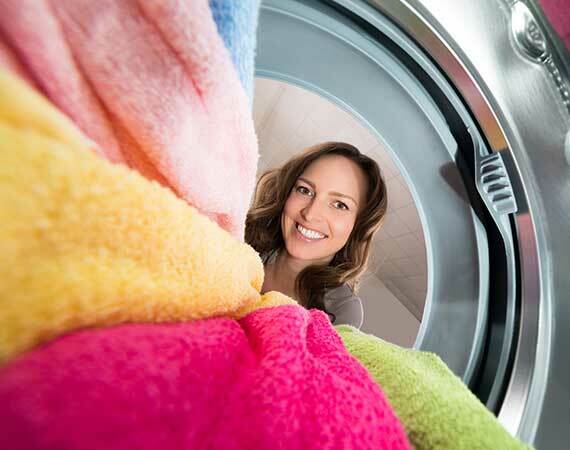 Residents who are treated right and have what they need in their rental – including clean, well-managed and advanced laundry facilities – are happier and less likely to search for a new apartment. This means less turnover and more profit for the bottom line. The right apartment laundry vendor can not only provide the essentials, but can provide consultations and recommendations on industry trends – such as mobile payment, convenience features and laundry loyalty programs. Are You Experiencing a Demographic Disconnect with Renters?